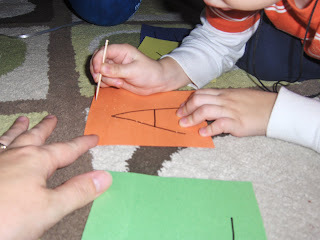 This Holes in the Alphabet pre-writing activity is a great alternative to tracing! 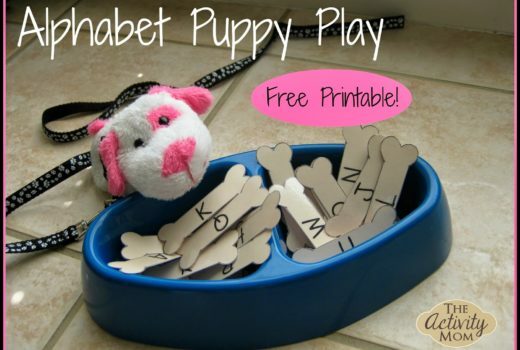 Write letters on pieces of construction paper. 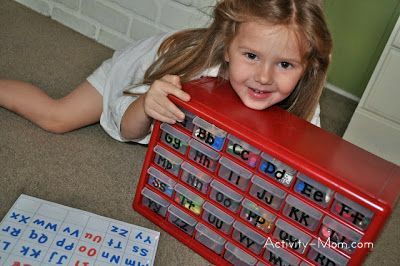 Have your child poke holes on the lines of each letter with toothpicks (going in the same direction you would to write the letter). Holding the toothpick also helps prepare your child to hold a pencil in the correct way. 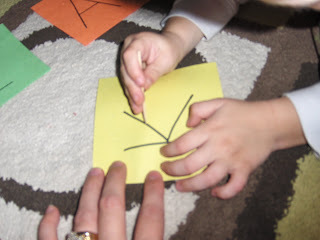 This could also be used to practice forming shapes, numbers, or simple lines. Make sure to do this activity on carpet! B lost interest after a few letters and just wanted to poke holes all over the card (which was fine with me). Another really fun moment was holding the card up to the light and looking at the way the holes shine like stars. My boys loved this activity too! Great for pre writing skills! Woulda never thought of this either. I’m not sure if Henry could get into this or not – but its worth a shot. I’ve always heard the smaller item the kids learn to hold, the better they’ll learn writing later on.